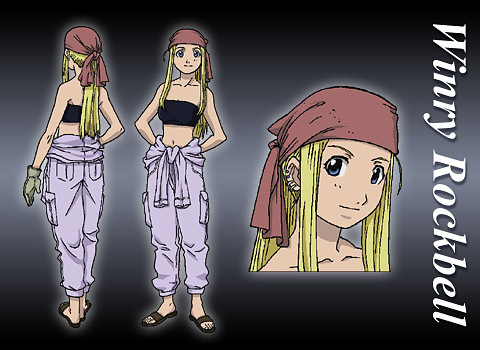 The research – I managed to score a Winry figurine in her mechanic outfit from my job at Suncoast, and the colors were very similar to what she was wearing in the TV series. From my first cosplay, I learned that figurines can be very reliable in a lot of cases where you can’t see the back of the costume in a game or series. Though commonly, colors between the manga and the animation differed, I decided to go with the more common color combo from the anime. 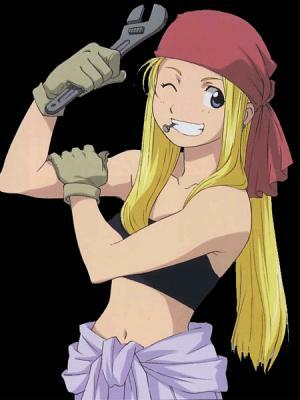 I look online at Cosplay.com and saw a whole mess of Winrys wearing all different colors: bright red bandanas, brown or blue coveralls, and frankly, I was very confused with where people were getting their color ideas for this costume. I stuck with my figurine and the screen shots from the series. The construction process – This was a very easy costume to put together. The hardest thing was getting coveralls that would work. 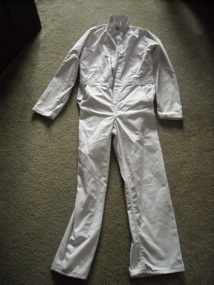 I didn’t want to any pieces of my costume to be inaccurate, so I bought some size small white coveralls off the internet, and dyed them in my washer. 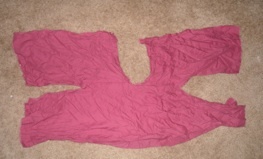 I used standard purple Rit dye, and I just didn’t let them stew for very long. They came out a perfect shade of lavender to match the animation color. I bought some maroon fabric at Jo-Ann’s and ripped it in a couple spots to make it easier to tie around my ponytail. The tube top was a cheap score from Hot Topic, off the clearance rack. It had a little cherry decal on it, so I just folded it in half, and that actually helped to keep it from falling down. With my first run of the cosplay, I tried to make some fancy orange sandals that matched my figurine. I threw them away after Day 1 because they kept falling apart. Instead, I used some brown clogs because they were more comfy, and with as baggy as my coveralls came out to be, you couldn’t see the clogs anyways. 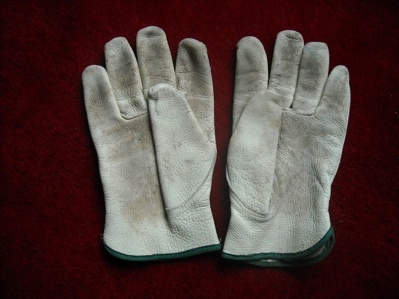 I borrowed some really worn gloves from my tech theater program at school, and my teacher said they were so worn out that i could keep them for my cosplay. 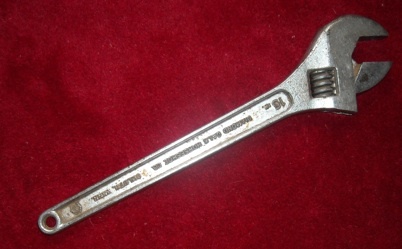 The wrench was another item I borrowed, and was eventually told to keep because it went so well with my cosplay.